This statistic shows peoples' expected feelings when controlling home appliances via smartwatch in the United Kingdom (UK) in April 2015. 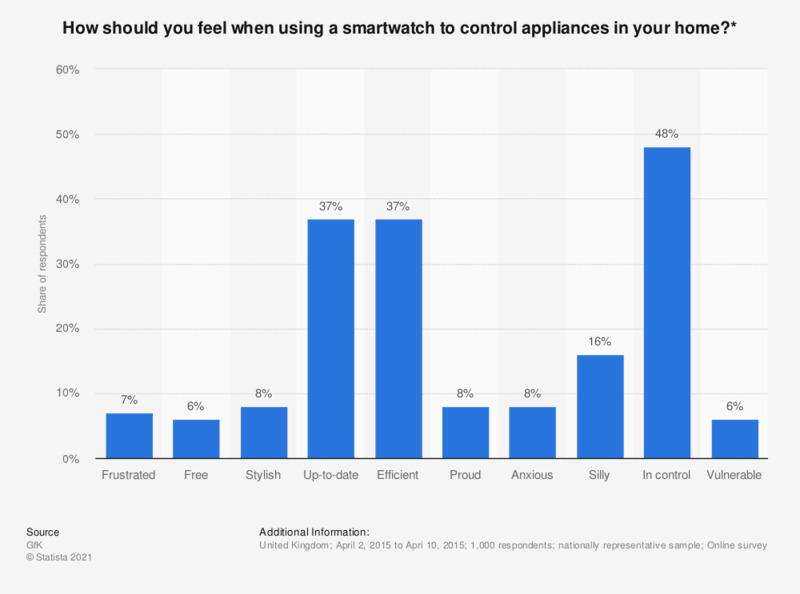 In April 2015, 48 percent of respondents stated that they should feel in control when using a smartwatch to control appliances at home. *This question was phrased by the source as follows: "Which of the following words best describe how you should feel about owning and using a smartwatch in the following situations?"